At Dynamic Repair Solutions, we accept multiple forms of payment to meet our customers' needs. If your wheelchair requires service, repair, or maintenance, we encourage you to explore our payment options below. Should you have any questions regarding your insurance eligibility, don't hesitate to contact us today. If you don't currently have private insurance coverage or are ineligible for Medicare or Medicaid, we do accept out-of-pocket payment at Dynamic Repair Solutions. In addition to all major credit cards, including VISA, Master Card, and American Express, we also accept eChecks. If you are ineligible for insurance coverage, worry not. We provide affordable and accessible wheelchair repair services, as we believe that no person should be denied the freedom and mobility that wheelchairs provide due to cost. Dynamic Repair Solutions also offers payment plans to make our services accessible to all. Please contact us to learn more about our options. For the majority of our customers, we are able to meet their needs for little to no money out of pocket. Many people don't realize that power wheelchairs and scooters are considered medical devices and may be covered by insurance. Whether you have private insurance or are covered by a government program such as Medicare and Medicaid, we can see to it that you receive the care that you need. We will work with you to determine your eligibility, and provide appropriate billing to your insurance provider. You can rest assured that we will handle all of the details. 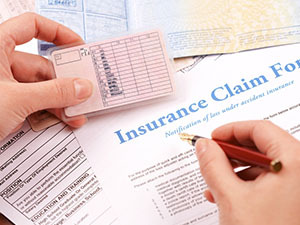 We understand that you may have questions, not only about billing and insurance eligibility, but our services as well. Thankfully, we have answers. We encourage you to call us at 888-258-0602 or contact us via email with any questions that you may have. We look forward to speaking with you!